Perhaps it’s appropriate that Thanksgiving comes so soon after our national elections, when much of the country is upset about the results and the antagonism that defines political campaigns hasn’t completely subsided. Despite those campaigns in which every candidate warned us of the horrible fate we faced if we voted for the other guy, it’s good to remember that for the most part, our fortunes aren’t so bad. In fact, our Thanksgiving tradition is rooted in a call to take note of the blessings we enjoy even in times of turmoil. While various states already held annual celebrations of good harvests and other fortune, the first presidential proclamation to recognize a national day of thanks was issued by Abraham Lincoln in 1863, during the heat of the Civil War. For most people, the daily crosses we bear pale against the horrors of war on our home soil, pitting neighbors against each other. And to be honest, our perceived problems often point to our good fortunes as well. Much angst has been caused by expressed differences between people, with words that can be unnecessarily hostile. But our hurt feelings notwithstanding (and our president’s frequent expressions that he’d like to restrict spoken and published comments), we are fortunate to live in a country in which our rights to candidly express our views, even to government officials, are protected by our Constitution. We hear many complaints about corporate abuses, high prices and special treatment given by government to certain business allies. And while most people probably believe their economic conditions could, and should, be better, we enjoy a freedom to seek and compete for jobs in the fields we choose, and many jobs are available. 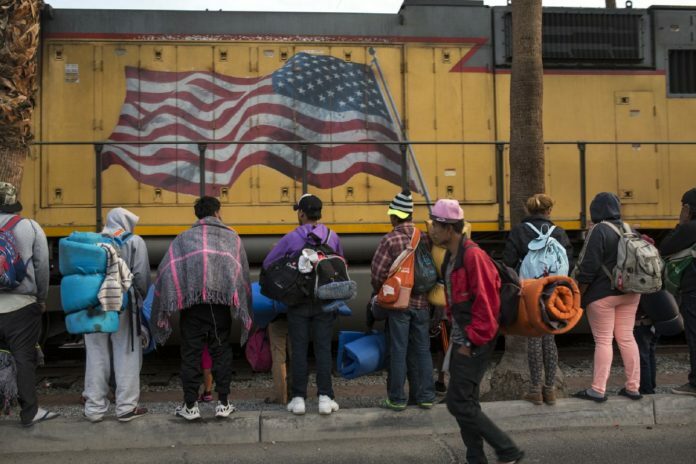 Despite some officials’ declarations that certain foreigners aren’t welcome here, despite the erection of border barriers and the deployment of our military to scare migrants and refugees away from our borders, they continue to come. Even with the open hostility and efforts to repel them, migrants still see our country as the land of opportunity, where they still have a better chance of survival and even success than in the violent countries they are leaving. Many express dissatisfaction with those who have been elected or appointed to positions of political influence. But we have the right to vote lawmakers in or out. And despite occasional allegations about possible irregularities in some elections, actual proof of such irregularities has been scarce. Certainly, our lives can be better. But in many ways that fact helps fuel our dissatisfaction with the status quo. Much of our time and effort is spent looking forward and working to improve our lives. Let this Thanksgiving Day remind us that it often helps occasionally to stop and see where we are. Most of us have to admit that we do have reason to give thanks — not only for our current blessings but for the grace and ability we have been given to work toward making our lives even better. We wish everybody a happy and peaceful holiday.